Two Beech King Airs came within approximately 300ft vertically of each other on approach to Mount Hotham Airport as the pilot of one of the aircraft grappled with GPS and autopilot difficulties while flying in instrument meteorology conditions, an Australian Transport Safety Bureau (ATSB) final report has found. In the September 3 2015 incident, King Air VH-OWN was found to have come within around 300ft vertically of another King Air, VH-LQR, that was also on approach to Mount Hotham Airport, which is located at 4,300ft above sea level in the Victorian alps. 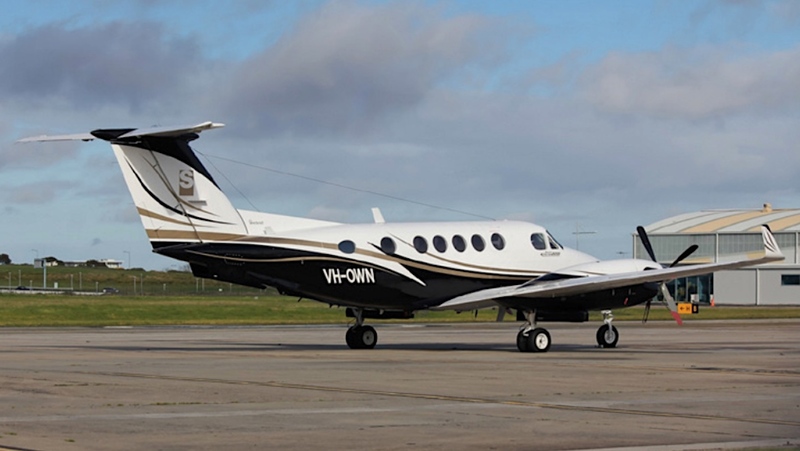 The ATSB report found the pilot of VH-OWN, who was also the pilot of a King Air that crashed shortly after takeoff from Essendon Airport in February 2017, killing all five people on board, had descended the aircraft below the minimum altitude and exceeded the tracking tolerance of the approach to Mount Hotham after experiencing GPS and autopilot difficulties. “The pilot twice climbed the aircraft without following the prescribed missed approach procedure and manoeuvred in the Mount Hotham area,” the ATSB report said. The ATSB report said air traffic control had limited radar coverage of the area. 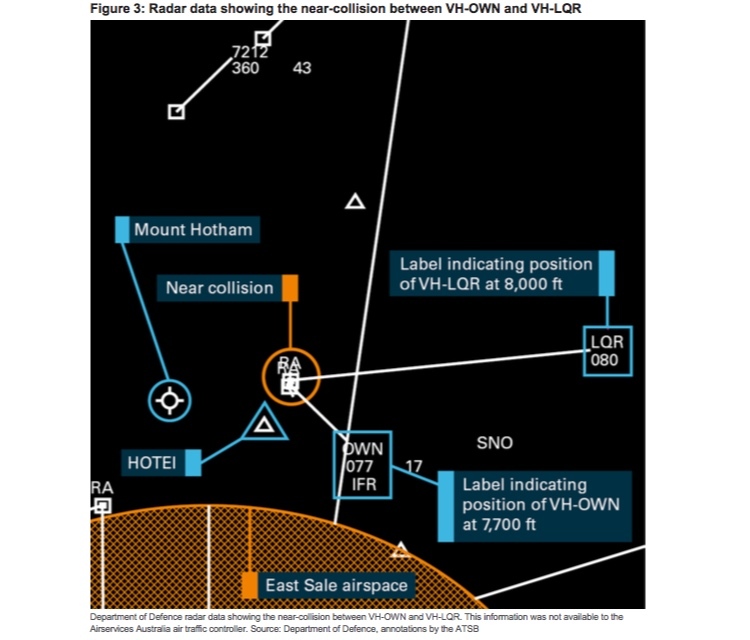 However, investigators sourced radar data from the Department of Defence (Defence controlled East Sale airspace lies to the south of Mount Hotham) which found VH-OWN passed 300ft below VH-LQR. Further, the report said the actions of the pilot of VH-LQR, who stopped descent when confronted with inconsistent position information from VH-OWN, helped avoid a collision. “After detecting inconsistencies in the position reports from the pilot of VH-OWN, the pilot of VH-LQR stopped his descent at 8,000ft,” the ATSB report said. The ATSB report found the pilot of VH-OWN did not track via the prescribed missed approach and prescribed holding pattern when experiencing GPS/autopilot difficulties, and did not communicate this to the air traffic controller or other aircraft in the area. “This increased the risk of a collision,” the ATSB report said. “Due to high workload and difficulties with the operation of GPS/autopilot system, the pilot of VH-OWN did not broadcast accurate position reports, resulting in reduced separation, and a near-collision, with VH-LQR. The ATSB report said the pilot of VH-OWN voluntarily suspended RNAV operations until he could undergo independent flight testing by the Civil Aviation Safety Authority (CASA). “This testing by CASA then resulted in a recommendation that the pilot complete remedial training before undergoing a further flight test,” the report said. “Following the second flight test, the pilot was deemed proficient and competent to resume operations. “At no time during the two test flights were any anomalies with the GPS and/or autopilot recorded by either the occurrence pilot or the CASA-approved testing officers. The ATSB said in its safety message on the incident that “maintaining the pilot skill of operating an aircraft without the use of automation is essential in providing redundancy should the available automation be unexpectedly reduced.